Today it was revealed that HP is working on an Android-powered tablet to be unveiled in the near future and possibly a smartphone for the farther future. This shouldn't come as a surprise to anymore. Despite statements over a year ago from CEO Meg Whitman looking to assuage anxious tech nerds about the future of webOS, HP has never shown any real inclination towards producing new webOS hardware since the cancellation of the last webOS hardware almost eighteen months ago to the day. Even though it's not a surprise in any sense of the word, it's still frustrating. HP has for close to three years owned one of the most highly-regarded mobile operating systems of the modern age of mobile computing, and for lack of a better term they royally fucked it over under the brief and idiotic leadership of Leo Apotheker. But that's in the past, and while it's hard to deal with old festering wounds like that, dwelling on that past isn't going to help one bit. There is of course benefit to examining the past with objective eyes, or at least trying to do so. HP bought Palm three years ago for this very reason - to move into mobile. They didn't like the way Microsoft was going with Windows 8, and though they'd toyed around with Android internally and on printers, they apparently weren't happy with that either. Driven by Personal Systems Group head and former PalmOne CEO Todd Bradley, HP purchased Palm for $1.2 billion so they could chart their own course in the burgeoning mobile world and not be tied to Microsoft or Google or anybody else. That's how it was supposed to work, and as we all know it didn't. There are a number of factors that can be blamed, from boardroom incompetence to poor sales to underwhelming hardware to disappointing advertising (but far from the worst that webOS has seen over the years). As with every multi-billion-dollar decision, there are dozens of contributing factors, though it usually boils down to money and the willingness to spend it or not spend it. So, here we are in the early days of 2013 and we get confirmation that HP is indeed working on Android hardware. This shouldn't be a shock. HP's dabbled in Windows 8 tablets and we've heard there are Windows RT (ARM-powered) tablets floating around Palo Alto as well. That's no surprise, HP is after all one of Microsoft's biggest partners and has been for decades. But Windows 8 isn't proving to be a smashing success. Sales of Windows 8 tablets have been disappointing to say the least, and tablets from the likes of Apple, Google, and Samsung are eating the lunch of HP and the rest of the PC industry. Samsung and Google don't have a PC division to worry about, and Apple doesn't care if their iPad sales cannibalize their Mac sales - so long as you're still buying from Apple they don't care. HP doesn't have a tablet for people to buy. They were supposed to, first Android, and then webOS, and then nothing. After the devastating shut down of webOS hardware operations, it's no surprise that it took HP's tablet machine a while to get back up and running at full power. Hundreds of HP engineers were dedicated to development of the next generation of webOS hardware, and after the cancellation they were either absorbed into other HP divisions or unceremoniously laid off. Between 2010 and 2011, HP gambled hard that they were going to need a massive investment in mobile to remain a relevant company in the 21st century. There was always going to be a place for their PC and printer divisions (at least for the next decade or two), but mobility in the form of tablets, smartphones, and other connected devices was recognized by HP as a central pillar to HP's strategy going forward. Until it wasn't and HP decided they wanted to be the next IBM. Now that that dark period has passed and HP is fighting and kicking and clawing their way back to relevancy (while competitor and PC comrade Dell is doing the same), they've again realized that mobility and connected devices are the future. If HP isn't going to be IBM, then logic dictates that they must try to be Apple or Samsung. There's little doubt that Microsoft has been putting pressure on HP to go with Windows for their tablet and smartphone plans. Microsoft is under the gun just as much as HP is. Not is Apple's Mac line eating into PC sales, which isn't entirely unexpected, but the explosion of tablets led by Apple's iPad is threatening to obliterate the traditional PC market in only a few short years. Windows 8 sales are solid, but that's to be expected - people haven't stopped buying computers. But they also aren't gangbusters; shortly after release the sales clip settled down to the same level as Windows 7 before the launch of 8. Windows Phone 8 has made impressive gains when looked at in a vacuum, but in all reality the smartphone operating system from Redmond isn't performing well either. Windows Phone is in an absurdly distant third place behind Android and iPhone, and is facing a serious challenge from a renewed and refreshed BlackBerry. The only reason Windows Phone is doing as well as it is is because of Microsoft's deep pockets. With Windows 8 disappointing and Windows Phone 8 not looking attractive for HP's desire for continued relevancy, the fastest and cheapest option for them while still differentiating (remember that Windows 8 and Windows Phone 8 only allow for limited customization, leaving OEMs like HP to differentiate only on hardware) is Android. What does Android offer that webOS doesn't? There's a lot, including a modern and growing catalog of apps, modern features, the commitment of Google behind its development, and name recognition to name a few. Companies like Amazon and Barnes & Noble have proven that Android can be customized to the point that it's not even recognizable as Android anymore, providing the significant differentiation that manufacturers long for. So of course HP's going to go with Android. That's not a surprise at all. But that doesn't mean it doesn't hurt nonetheless. When HP scooped up Palm from the brink of bankruptcy in 2010, they were hailed as the saviors of webOS. With HP's scale and bankroll, webOS was supposed to be everywhere. So it's painful to see HP, long separated from our visions of the rescuing charming prince in blue armor and now battered and bruised and wandering in search of a new way, picking up and moving on with a new princess. Sure, there's a lot of angry talk in the webOS community that says "I'm never going to buy another HP anything!" But I'd be willing to bet real money that a lot of those same people would hand over their real money for a new webOS tablet or smartphone, even if it was made by HP. There's still that desire for HP to make good on webOS, even if we don't want to admit it. But it's not going to happen. HP's kicked out webOS, made their mobile bed with Android, and now they're going to have to lay with it. They're tiptoeing into a crowded market with more experienced players, and we wouldn't expect HP to take a highly differentiating route like Amazon's Kindle lines. Any Android-powered HP tablet is likely to be close-to-stock Android as they simply aren't going to invest the money that it would take to build and maintain the custom user interface they'd need to really differentiate themselves on the shelves. So this news of an HP Android tablet is a nail in the coffin of Open webOS. Or is it just a nail in the coffin of HP webOS? Is this the end of webOS, or just the end of HP and webOS? Truth of the matter is, I never expected there to be an HP and webOS after HP announced at the end of 2011 they were going to open source webOS. With the news that the webOS Global Business Unit was to be spun off as a separate company called Gram, the prospects of HP and webOS being an item - forget an exclusive item - went almost entirely out the window. So let's go ahead and put that final nail in the coffin of HP and webOS. That relationship is done as far as the public is concerned, and it'll be up to HP to pry open that casket and convince everybody that everythings okay. Unless and until that happens, there is no HP and webOS. 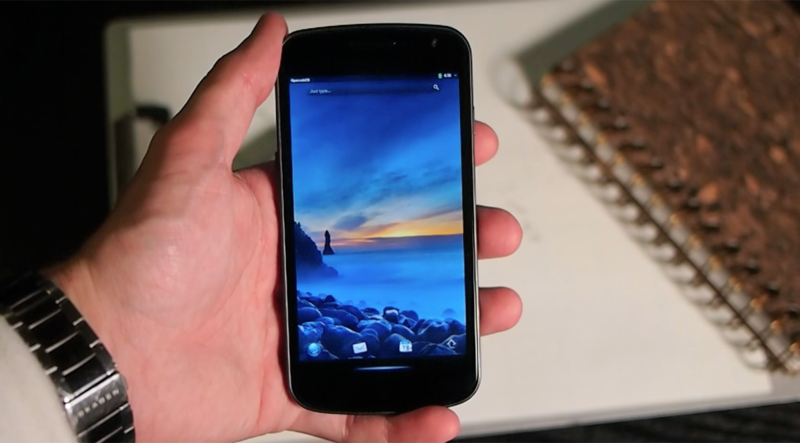 There's HP and their new Android experiment, and there's Gram and their Open webOS experiment. Both face an uphill battle. Open webOS has the advantage of automatic differentiation. If they're ever able to company that Open webOS is for them and get hardware to market, it'll be instantly differentiated from all of the Android and Windows 8 and iOS tablets out there. That's for better and for worse, while Open webOS has the user interface down, there are still significant deficiencies to be overcome with regards to the rest of the operating system. While we hope that Open webOS Professional Edition will be sufficient to make up some of the difference, unless Gram tries something along the lines of Android emulation, webOS will continue to suffer a serious lack of modern apps. But with Open webOS and Gram more or less untethered from dependence on HP, the options for who they can work with can open up. There's till the problem of financial dependence on HP - while Gram might technically be a separate company, they're entirely reliant on HP for financing. And if HP's opting to go all-in on Android, one has to question how much they'll be willing to commit to a side project like Gram and Open webOS. It's always worth considering, though, that webOS may simply not have a future in the mobile space anymore, or at least not for a long while. Gram has been working with multiple partners - including with LG on a webOS-powered TV - on various projects. None of those projects are mobile-focused. So while the genesis of Open webOS was a mobile operating system, the future of Open webOS may look nothing like the past. There will still be the homebrew crowd working to port Open webOS to a wide range of devices, but so long as there's limited and dwindling developer support for the platform, it'll remain as niche product status. That's a bucket of cold water for sure, but it's a distinctly possible reality. Open webOS is a fine base operating system. But it's missing an awful lot of the long tail of features that would be needed for it to be successful in the highly competitive tablet or smartphone space. Built-in photo editing on webOS is nonexistent. Video editing consists only of cutting videos down to size. The camera app - technically not even present in Open webOS - can take photos and videos and that's it, there's no panorama or HDR or other advanced settings. There's no social network integration or live icon/widget support or something as amazingly predictive as Google Now or charmingly interactive as Siri. Open webOS is still ahead on multitasking and everybody's just now starting to catch up on notifications, but when it comes to just about everything else, Open webOS is way behind. There might be some voodoo magic happening behind the concrete bunker walls of Gram, but until we see what they're working on, the facts won't change as to the status of Open webOS in the mobile ecosystem at large. So perhaps the future of Open webOS will be powering the back end of a thousand different web-connected platforms. We've already seen the potential with the unfortunately-named KeyiCam taking Open webOS and using it as the base for their key duplication kiosk system, and the previews they’ve shown look nothing like webOS. And why should it? We wouldn't expect a Windows CE-powered ATM to look like it's running Windows (at least until it crashes and puts up the blue screen of death). But we're webOS Nation, part of the Mobile Nations network of communities. While our nightmares are filled with visions of webOS-powered car stereos and key duplicators and ordering screens at a futuristic McDonalds, our dreams call for a thriving ecosystem of tablets and smartphones and even a few desktop computers. If there's going to be a future savior for Open webOS in mobile, it's not going to be a night in shining armor swooping in at the last minute with a satchel full of a billion dollars. Unless something drastic and unexpected happens, the Samsungs and HTCs and LGs of the world aren't likely to pick up Open webOS as an operating system for their tablets or smartphones. But somebody like Huawei or ZTE or somebody looking to break into the mobile space very well might. The future of mobile Open webOS probably lies in China. It's easy to spin today's story of HP taking to Android for their mobility division in either direction. It's either the end of Open webOS or the liberation of Open webOS. On one hand, HP's been the financial supporter (and punisher) of webOS for the better part of three years, and that they're going Android doesn't bode well for continued financial support for Gram and Open webOS. On the other hand, Open webOS and Gram can move on from any notion of a future with HP mobility and pursue bigger goals and new partners. That's what they're already doing. So while HP snuggling up to Android is a kick to the groin for the webOS community, it's really not an unexpected bit of news in any way. HP's effectively washed their hands of webOS, and while they'll never be able to live it down no matter how hard they try to pretend that it never happened, they're done with webOS. But just because HP's done doesn't mean Gram's done. It doesn't mean Open webOS is done. And it certainly doesn't mean we're done.